MAJOR TAKEAWAY: The best way to protect public artwork is to get Everyone involved! Part of the mission of Orange Korner Arts is to enable the youth in Hunting Park to initiate positive change in their own communities. 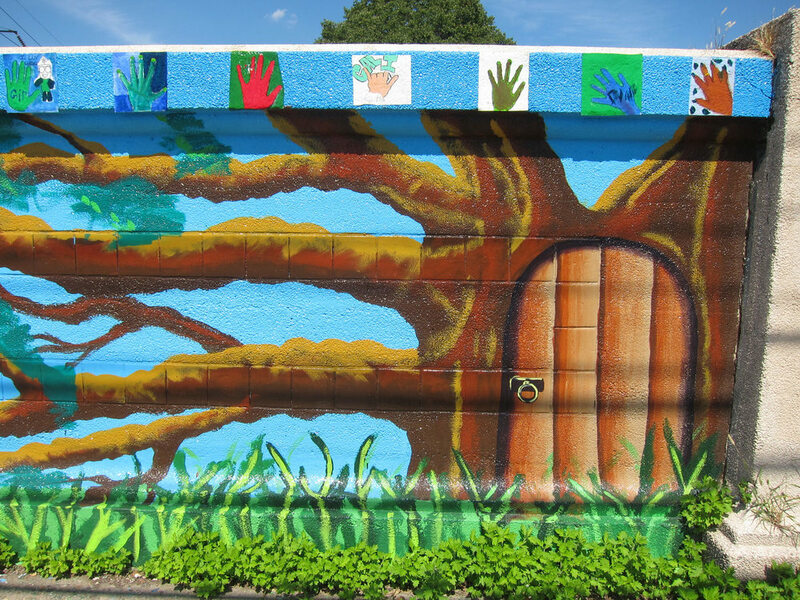 In 2010, I invite mural artist Bernie Wilke to teach a Community Mural Making class. We first had the students identify a public wall that they would like to artistically transform in the neighborhood. 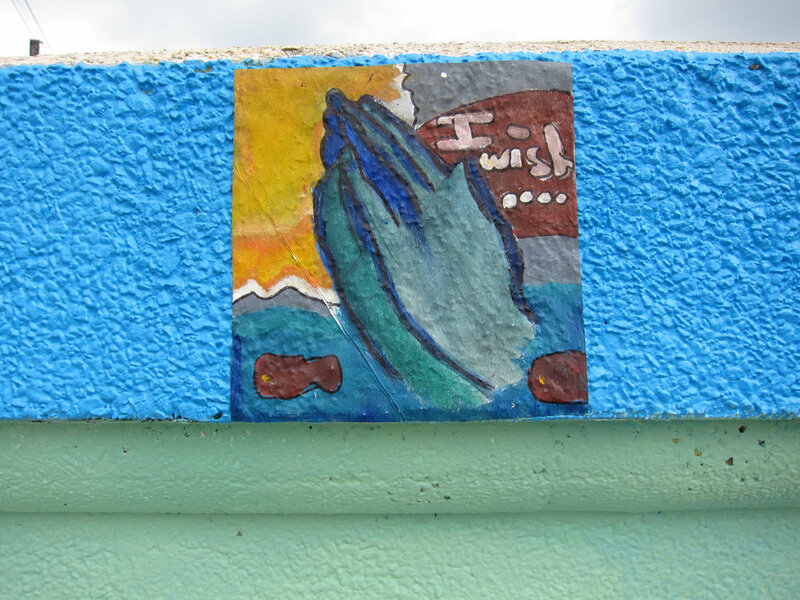 The students chose the walls on either side of the Cayuga Street bridge toward our local elementary school two blocks from our center. There was a mural that had been done previously but over time it had been tagged extensively with graffiti. The children of Hunting Park cross this bridge each day and our students wanted to improve their experience of walking through the neighborhood to school. We worked with the students to design the mural by exploring symbolism. The students wanted to use the symbol of a tree with branches reaching across the bridge to symbolize a healthy, nurturing environment for our children. The trunks of each of the trees had doors in them to represent the notion of home. We had them include an element that would provide opportunities for children from the neighborhood to contribute to the mural. The designed a project for children to trace and paint their hands and paste them on the wall. They wanted to use hand images to represent that we all have to be involved to improve our community. They assumed that the more children that they could include in creating an aspect of the mural, the less children would want to graffiti the mural when it was finished. Shadow Poet - "The Elements of Nature"
The students found other ways to involve the broader neighborhood. They invited a local poet to write a poem for the mural who got involved in the painting as well. They invited folks who were passing by to “leave their mark” by making hand prints along the top of the wall. The central image on one of the walls was an open space between two hands. The students wanted to represent the presence of God in all of our efforts to make positive change in our community. he mural was completed before the first day of school and was a delight to the families as they walked their kids to school. So many children and adults from the community were involved and could point out their contributions. They have all become very protective of the bridge mural and address any vandalism immediately. Our students were proud that they had contributed a work which had a huge positive impact on their own community.